Since 1986, April has been designated, "Month of Military Children," to honor the sacrifices made by military families worldwide, specifically, dependent children whose parents are serving away from home and overseas. Boys & Girls Clubs of Northeast Florida is proud to recognize a few of our military families and would like to thank all our service men and women for their continued support of our country. Meet Toni. A special member of our S. P. Livingston Boys & Girls Club! Both her parents have served in the military. 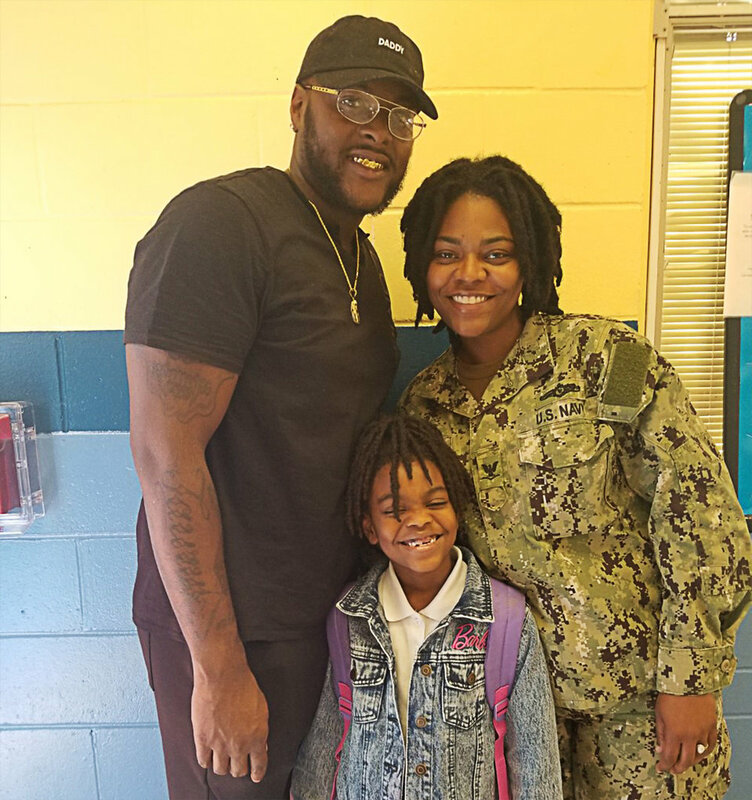 Her mother, Shaquanhia, is currently in the Navy and her father, Antonio, is retired Navy, having served four years. Her parents have noticed growth in Toni’s academic and social skills while attending Boys & Girls Clubs. “It has helped her socialize more with her peers and she has developed a drive to complete her homework on her own instead of asking us for help,” said Toni’s parents. Toni loves Boys & Girls Club’s weekly science club. Meet David, he’s a member of our Victory Pointe Boys & Girls Clubs. His mother Karla, a member of the Navy Reserves, enrolled David at our Westside Club six months ago and he’s been part of the family ever since. Last but not least, meet Charles! He’s a member of our Arlington Elementary Boys & Girls Club. Charles’ father, Chaddrick, has served in the Navy four years and is currently stationed in California. His mother Vanessa, and the rest of Charles’ family live in Jacksonville. We’re proud that so many service members trust our Northeast Florida Boys & Girls Clubs to provide their children with a safe place after school for their academic and social growth. Our commitment to all our parents remains the same, to inspire and enable all young people, especially those who need us most, to realize their full potential as productive, responsible and caring citizens. We want to thank Shaquanhia, Antonio, Karen and Chaddrick for their selfless service to our country and their families for remaining strong during their service.